Coinbase is one of the world’s largest cryptocurrency exchanges and was one of the pioneers in popularizing cryptocurrencies and making them accessible to the general public for investments and transactions. 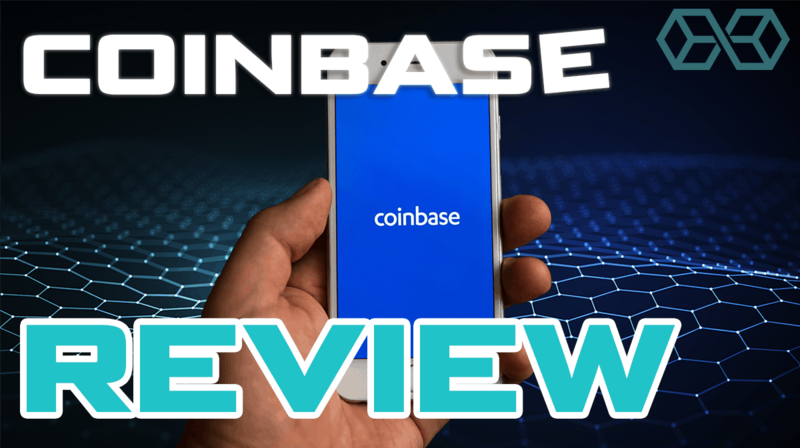 In this new Coinbase review for 2019, we cover everything you need to know about Coinbase’s flagship exchange (Coinbase.com). 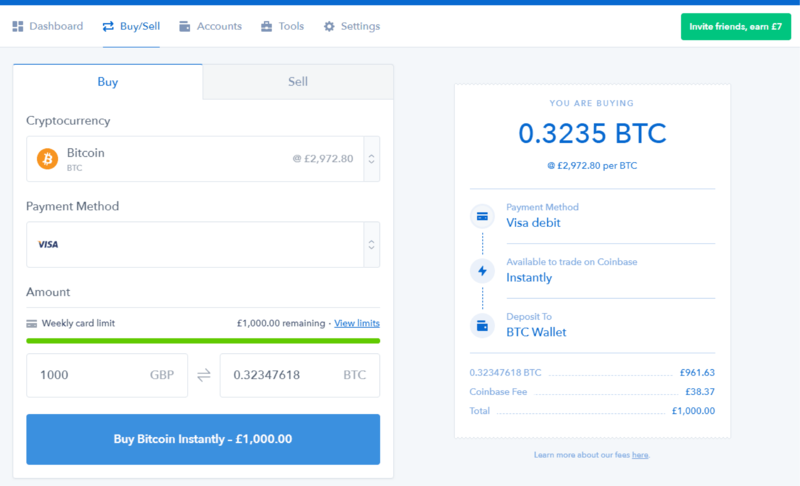 We will look at Coinbase Pro, its advanced platform, in full detail in a future review. Coinbase’s mission is to be the most trusted and the easiest to use cryptocurrency exchange. It has been very successful in achieving this so far and is today one of the leading on-ramps to the cryptocurrency world. As an exchange, Coinbase has focused on introducing consumers to the world of cryptocurrency and allowing them to purchase major cryptocurrencies, store them on exchange supported wallets and use them to perform transactions. Coinbase enables users from select jurisdictions around the world to buy cryptocurrencies with their local fiat currency as well as sell cryptocurrencies and withdraw fiat currency. This in combination with its trusted and well-known brand has made Coinbase immensely popular. As many cryptocurrency exchanges do not support fiat currency deposits or withdrawals, Coinbase often acts as a bridge between a user’s fiat-based bank account and other crypto-to-crypto exchanges. This focus on the average consumer, adherence to US financial regulations and oversight and the provision of fundamental cryptocurrency transactions has made Coinbase one of the most profitable cryptocurrency exchanges. Coinbase also has the backing and support of some high-profile investment firms, hedge funds, and sovereign wealth funds. Note: Coinbase is currently valued at $8 billion after raising $300 million in a Series E funding round. Coinbase’s focus on accessibility, simplicity, and compliance has, however, limited the scope of what Coinbase users can do in terms of fiat-to-crypto and crypto-to-crypto trading and advanced investing. Coinbase currently only offers only a very small number of trading pairs, limited trade order types, and analytical tools meaning that Coinbase’s flagship platform is best suited for beginner cryptocurrency investors. However, Coinbase also has an alternate platform for more advanced cryptocurrency investors called Coinbase Pro (or Coinbase Prime for institutional investors). Coinbase Pro offers a much more comprehensive trading platform, with advanced trading tools, a larger number of fiat-to-crypto and crypto-to-crypto trading pairs and lower trading fees. Coinbase users can easily upgrade their accounts to get access to Coinbase Pro and are able to send funds between Coinbase and Coinbase Pro instantly and for free. If Coinbase sounds like it could be the cryptocurrency exchange that suits your needs, then please read on for further details. Deposit/Withdrawal Fees: Free in some cases, check our ‘Fees’ section below. Coinbase shared humble origins with cryptocurrency in general when its founders, Brian Armstrong, and Fred Ehrsam, first established the company in 2012 as a simple way for people to buy and sell Bitcoins using bank transfers. At the time this was an enormous leap in terms of cryptocurrency accessibility, as previously Bitcoin transactions required a certain degree of technical know-how and the use of more sophisticated financial payment systems, such as offshore wire transfers, or the use of less than reputable financial intermediaries. This early focus on accessibility and security then continued in each successive step as the company grew into a massive global exchange for the world’s largest cryptocurrencies. The next big leap in Coinbase’s development occurred in 2014. Coinbase further expanded the popular awareness of Bitcoin and cryptocurrency in general by working with major service providers to accept Bitcoin as a direct form of payment. 2014 was also the year where Coinbase began working with newer financial intermediaries, such as Stripe and Dish to enable Bitcoin payments on their systems. However, it was in 2015 that Coinbase profoundly transformed the crypto space when it unveiled its new licensed U.S. Bitcoin exchange. After extensive efforts to establish themselves as a regulated US financial institution, Coinbase launched as the first regulatory approved cryptocurrency exchange. 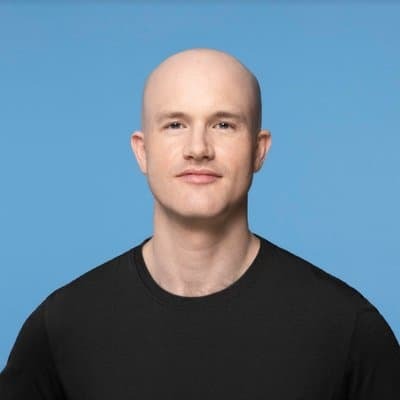 While many of the more libertarian crypto enthusiasts saw this effort as a ‘sell-out’ to the traditional financial forces that cryptocurrency was meant to disrupt, the effort helped to catapult Coinbase to the extreme customer numbers and valuations that define it to this day. 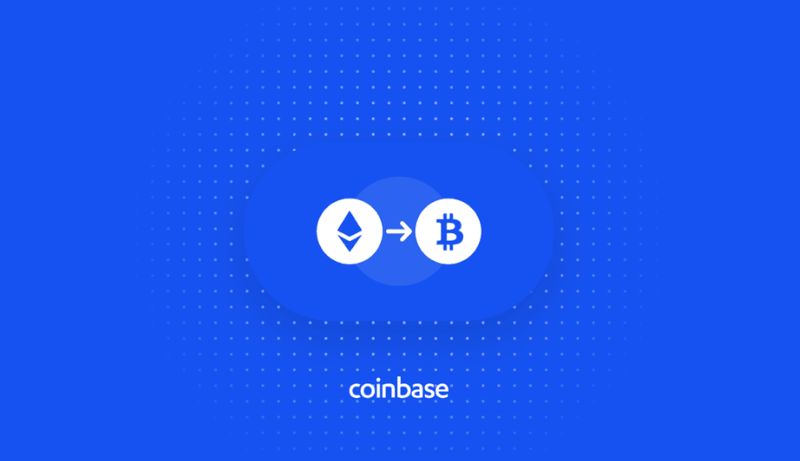 As a platform for cryptocurrency investments and transactions intended for new and basic users of cryptocurrencies, Coinbase’s features are designed to be simple and accessible for the needs of its core customers. These main features include buying and selling cryptocurrencies, performing transactions with cryptocurrencies, crypto-to-crypto conversions, cryptocurrency storage, and extensive educational resources. You can buy and sell cryptocurrencies by clicking the ‘Buy/Sell’ tab when you log into your account. You can also buy and sell cryptocurrencies by either going to a cryptocurrency’s page directly or going through your accounts wallet for that cryptocurrency. Each cryptocurrency will have some basic historical price data displayed as well as the option to either buy or sell this cryptocurrency. Coinbase currently offers 4 major cryptocurrencies for investing in all supported jurisdictions, and up to 7 more with varying levels of support depending on the jurisdiction. Cryptocurrencies can also be purchased on mobile devices through the Coinbase iOS and Android applications. A range of payment methods can be used including credit/debit cards, banks transfers, and wire transfers using fiat currency. Crypto-to-crypto conversions are also possible as explained in detail below. Coinbase offers account holders a number of different methods for using their cryptocurrency for transactions, including physical goods, digital products, gift cards, and donations or gifts. Most cryptocurrency transactions will be handled using merchant-hosted software, requiring only some basic account information to confirm the transaction from Coinbase. However, Coinbase also supports manual payments from your cryptocurrency wallets and direct cryptocurrency transfers using cryptocurrency addresses. Coinbase offers customers the option of direct crypto-to-crypto conversions without the need to buy and sell the coins using USD as an intermediary. Instead, these conversions rely on using Bitcoin as the main unit of account, with all conversions operating between Bitcoin and the other cryptocurrencies. Currently, Coinbase offers conversions between Bitcoin and up to 6 other cryptocurrencies depending on your jurisdiction. All conversions are automatic using the given exchange rates at the time and are accounted for in USD terms. To accommodate for security concerns associated with online accounts, Coinbase offers a ‘vault’ feature that acts as an extra secure wallet for storing any of the cryptocurrencies that are supported by Coinbase in your jurisdiction. The vault has additional optional layers of security, such as multiple email account checks, and a critical 48 hour waiting period during which the withdrawal process can be canceled at any time. The vault option allows users to store the bulk of their cryptocurrency assets securely, while only releasing funds to their main account wallets as necessary. As a cryptocurrency exchange focused on accessibility and the popularization of cryptocurrencies, Coinbase offers an extensive list of educational resources for its users. 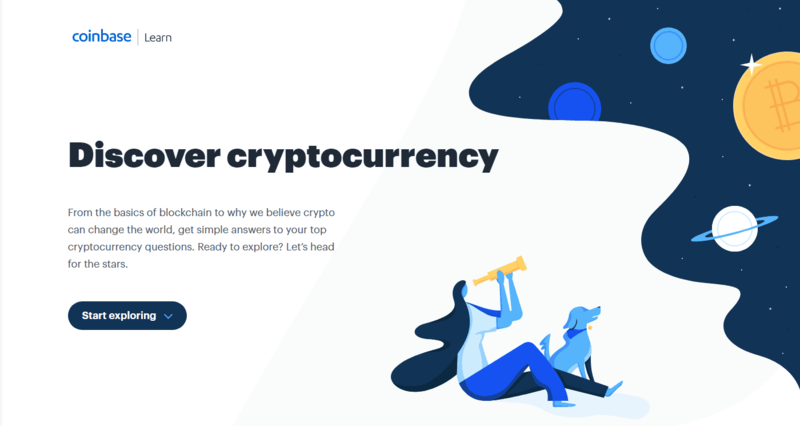 For complete beginners, Coinbase has created a learning resource that answers every question about cryptocurrencies that a newcomer could possibly have. Coinbase also recently unveiled Coinbase Earn which gives users the opportunity to learn about cryptocurrencies while also earning them at the same time. Currently, Coinbase Earn has courses available on 0x (ZRX), Basic Attention Token (BAT), and Zcash (ZEC). Coinbase also has a blog that is regularly updated with both company and industry related news and articles. It is also worth mentioning that Coinbase has one of the most extensive customer support systems including a frequently asked questions page that covers practically everything that a user would need to know about Coinbase itself. Coinbase has a substantial process for registering and authenticating accounts, which is either a major positive or negative depending on the nature of the customer. First, you need to register using your name, email address and legal jurisdiction after confirming that you have read all the assorted terms and conditions. They will then send you a verification email to the given address to ensure that you are using your own email address. Once your email address is confirmed, the two-step identification process will require that you submit a randomized code that is forwarded to your mobile device after inputting your mobile number. This will establish your Coinbase account, but you still need to verify your identity before you can fund your account and begin making transactions. 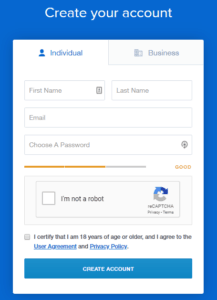 For US customers, Coinbase requires an extensive list of personal information, including your address, employer and the last 4 digits of your SSN number. They will then ask you to upload an image of your photo ID. You will then be prompted to add the details of your payment methods, including options for bank accounts, wire transfers, debit/credit cards, and PayPal. Coinbase has a range of fees for its various services, as well as fees when moving fiat currency in and out of your Coinbase account. Coinbase’s fees for buying and selling cryptocurrencies are slightly complicated. First, in all cases, there is an approximately 0.5% spread that Coinbase places on the current market rate for any cryptocurrency, and the size of this spread can fluctuate depending on current market circumstances. This means that any purchase of a cryptocurrency will be at a 0.5% higher price than the actual market price at the time of the transaction, and 0.5% lower in the case of a sale. Coinbase also charges its ‘Coinbase Fee’ on all transactions, which is the greater of either a flat rate or a percentage rate depending on location and payment type. The flat fee only applies to amounts less than $200 to account for the costs of processing. In most cases, Coinbase’s rate of 1.49% per transaction will apply (3.99% for credit and debit cards). For conversions between supported cryptocurrencies, Coinbase does not charge a fee but rather implements an approximately 1% market spread. The size of this spread is also subject to current market forces. This means that you will be paying 1% more than the market rate for the purchased cryptocurrency in terms of the cryptocurrency that you are spending to complete the purchase. Deposits and withdrawals via wire transfer take business 1-3 days, and bank account (ACH) deposit or withdrawals take 4-5 business days. Deposits and withdrawals via SEPA transfers take 1-3 business days. Deposits and withdrawals via GBP bank transfers usually complete within a business day. EUR withdrawals via SEPA transfers take 1-3 business days. Coinbase doesn’t have CAD or AUD wallets on its platform so it cannot support the selling of cryptocurrencies in Canada and Australia. However, these users can sell their cryptos through Coinbase using PayPal, but the funds will go directly to their PayPal accounts and cannot be held on Coinbase. Customers in the USA, Europe, UK, Canada, and Australia are able to withdraw funds instantly using PayPal. Coinbase is considered one of the most secure cryptocurrency exchanges in the industry. It has layers upon layers of security that make a successful hack or theft highly unlikely, as well as an insurance program covering all digital and fiat deposits stored in its accounts. Some of these security features are enforced on users to protect their accounts from being accessed illegally and to delay any unauthorized transactions or transfers. One of the most prominent security features of Coinbase is that it stores up to 98% of the value of its digital assets in ‘cold storage,’ which means that these assets cannot be accessed or manipulated through the Internet, but are rather stored as a physical copy disconnected from the Internet completely. These physical copies are then stored in distributed safety deposit boxes around the world, making a focused theft of any large portion of client assets effectively impossible. Similar to its digital assets, Coinbase’s client data is encrypted and stored offline on paper and USB backups, which are also distributed in safety deposit boxes around the globe. 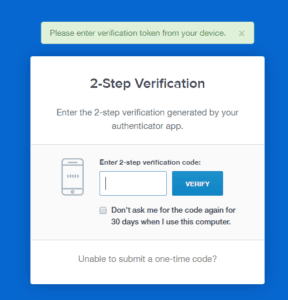 While 2-step verification is an option for many online payment systems, Coinbase has a mandatory 2-step verification system for logging in and various account activities. The 2-step verification methods include using an authenticator app or having a code sent by text message to your accounts verified phone number. While account names and passwords may be accessed due to client error, clients are much less likely to also lose their mobile phones, which dramatically reduces the effects of theft due to client security failures. Clients have the option of storing some or all of their digital assets in a separate ‘vault’ wallet that has additional optional security features and a fixed 48 hour waiting period for all withdrawals. This feature means that even in the event of an account being compromised, the client has 48 hours to cancel any unauthorized transactions out of the vault wallet. Coinbase operates on financial industry best practices for institutional security, including employee background checks, encrypted hard drives and the latest in IT security features. Coinbase’s institutional security is so well-respected that it offers a custodian service for digital assets for other financial institutions, such as hedge funds and investment firms. 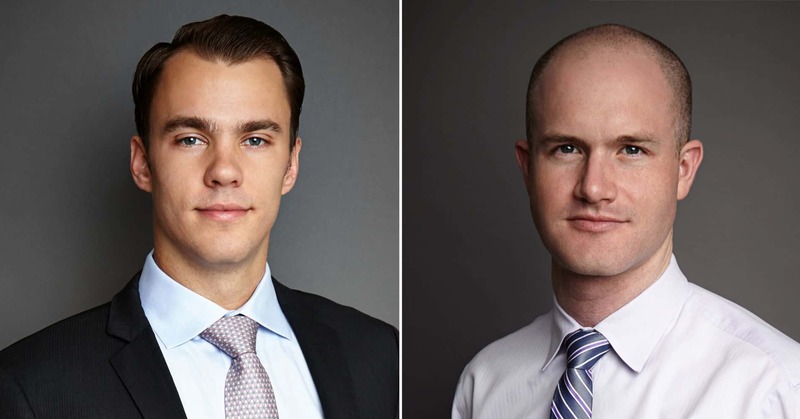 As a final safeguard for client funds, Coinbase has insurance covering all assets in its care. For digital assets, Coinbase offers free insurance coverage, while fiat assets are covered by FDIC deposit protection for up to $250,000 per account. 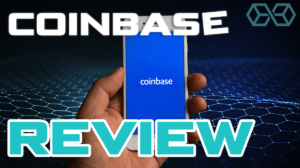 Now that we have covered all the essential info, it is time to breakdown our review of Coinbase into a simple list of Pros and Cons that will help you to decide if this is the right cryptocurrency exchange for you. It really does not get any safer in terms of cryptocurrency exchanges than Coinbase. Coinbase’s security features range from mandatory 2-step verification to institutional industry best practices to cold storage of 98% of digital assets to insurance for both digital and fiat assets. All these security features add up to make Coinbase as safe as is possible when it comes to protecting your assets. 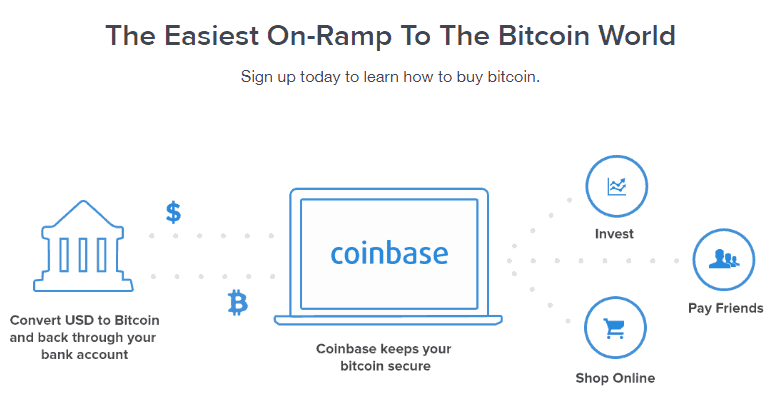 Coinbase is designed with the beginner and simple cryptocurrency user in mind. It is a place where anyone from a wide range of countries can come to buy and sell major cryptocurrencies, transact in those cryptocurrencies, store those cryptocurrencies and convert between them. These are the basic features that people new to cryptocurrency require, and they are provided with an intuitive and easy-to-use interface. Coinbase has an extensive customer support system and a huge range of information resources that teach beginners everything they need to know and keep users up-to-date with the latest relevant news and information. From dedicated learning resources to an extensive frequently asked questions page to a regularly updated blog (often featuring articles by company executives including the co-founders), Coinbase offers an unparalleled level of information and support aimed at both beginners and more experienced clients. Coinbase offers users the full range of payment options, from bank accounts and wire transfers to credit cards and PayPal. There is effectively no major online payment option that Coinbase does not accept, which is a huge bonus for people that are used to being unable to transact in cryptocurrency due to not having the appropriate payment options. Fiat currency deposit and withdrawal fees are low or even free in some cases for users from the US, UK, and Europe. For this reason alone, many crypto users will want to have a Coinbase account, simply to act as a bridge between the fiat world and the crypto world. Coinbase is expensive, there is no denying it. The fees and spreads charged for fiat-to-crypto and crypto-to-crypto transactions are among the highest in the industry. Many people who choose an alternate exchange for their cryptocurrency needs do so to avoid the extremely high fees and spreads that Coinbase charges. Coinbase users can also quickly open a Coinbase Pro account which has lower fees. While Coinbase’s high degree of regulation can be seen as a huge benefit for some users, for others it is actually one of the biggest drawbacks. Many people find that Coinbase’s verification and security measures are excessive. Furthermore, many people use cryptocurrencies precisely because they want to avoid excessive regulation and oversight of their financial affairs. Coinbase is not the exchange of choice for people looking to seriously invest and trade in a large number of cryptocurrencies. Although Coinbase does offer access to most major coins, the lack of access to less popular coins can be a huge drawback for cryptocurrency investors and traders. Furthermore, the lack of any advanced analytical tools means that traders would need to rely on outside data and tools to perform their trading strategies. Coinbase Pro does offer a larger selection of coins, but it is still much less than some other exchanges. While no one can argue that Coinbase is not a major force in the modern crypto space, its suitability for your needs ultimately depends on the type of cryptocurrency investor and the user you are. Despite being an immensely popular cryptocurrency platform, it may not be the best fit for everyone, especially those who are looking to trade a large selection of digital currencies. However, many users will still find having a Coinbase account worth it due to its trustworthiness and fiat currency support that provides a bridge between the fiat world and the crypto world. Coinbase’s high fees do make fiat-to-crypto and crypto-to-crypto conversions expensive, thereby limiting the number of transactions that users will want to perform. However, Coinbase remains one of the best choices for users who require only the basics and are willing to pay a premium for the security and simplicity that Coinbase offers. If you intend to buy and hold one or a few major cryptocurrencies for an extended period and/or wish to have a secure cryptocurrency wallet for making crypto transactions with, then Coinbase is undoubtedly one of the best options on the market. 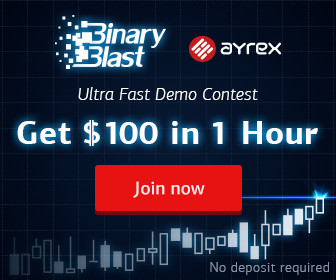 Unparalleled levels of security and extremely intuitive interfaces designed with beginners in mind mean that you will be able to simply and safely perform basic crypto transactions and investments. As for the higher fees that Coinbase charges, this will be a small price to pay for the ease-of-use and peace of mind that you are getting. It is also important to note that Coinbase users can easily utilize Coinbase Pro if they find that they have outgrown the usefulness of Coinbase and are looking for a more advanced and sophisticated cryptocurrency platform for their investing or trading. All you have to do is log into Coinbase Pro using the same login credentials you use for Coinbase, accept the terms and conditions, and then the new Coinbase Pro account will be automatically linked to your existing Coinbase account. Coinbase Pro offers many of the same features that initially drew in Coinbase customers, while also upgrading to a platform and fee structure that is far more conducive to active investing and trading in the crypto space. The Balance – What’s the deal with Coinbase and GDAX? Coinbase Support – Where can I spend Bitcoin? Coinbase Support – Is Coinbase regulated? Coinbase Review : The Ultimate Beginner’s Guide to This Popular Exchange was originally found on copy trading cryptocurrency | Blockchain News | Bitcoin News | blokt.com.